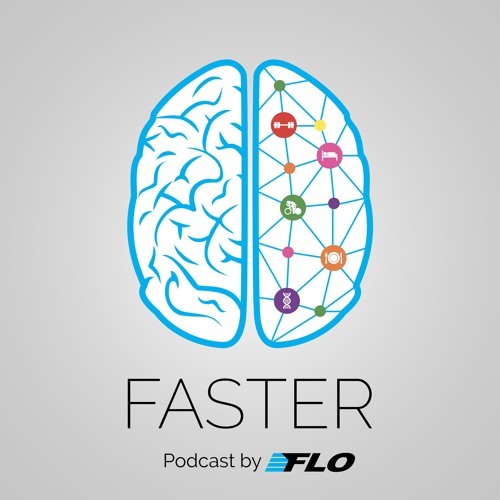 Please visit FASTER Podcast by FLO for this and other podcast. "As a coach, Best Bike Split premium is one of the lines on my expense sheet that I would never get rid of, as it allows me to give my coaching clients so much additional value from being coached by me." Please visit Scientific Triathlon for this and other podcast. Can predictive modeling be used to improve performance? In the summer of 2013, Ryan Cooper took a few weeks off of work to answer a question: could you accurately predict a cyclist's performance using a fast, easy-to-use model? 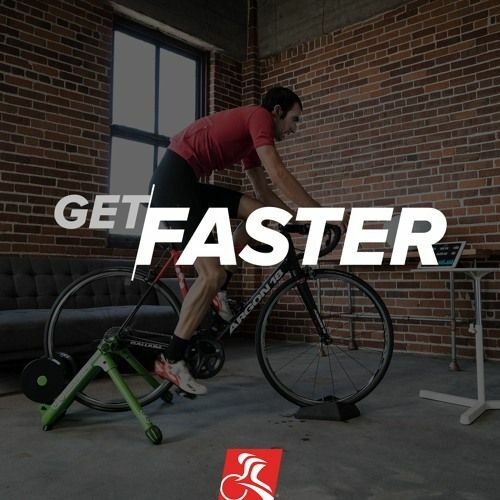 Over five years later, Ryan is the co-founder and chief scientist at Best Bike Split, a tool that helps cyclists of all levels develop optimal pacing and training strategies using proven technology. Dave Schell sat down with Ryan to talk about how Best Bike Split came to be, how athletes and coaches can get the most out of the software, and other optimal strategies to use before and during a race. Please visit Coach Cast by TrainingPeaks for this and other podcast. WATT Does It Take To Produce The Fastest Bike Split At The Norseman Xtreme Triathlon? 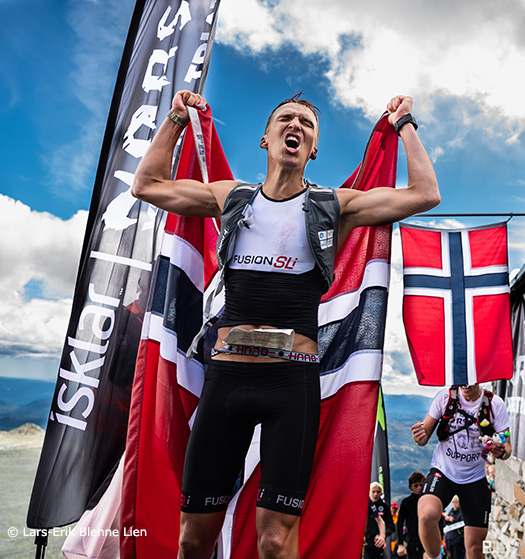 Norwegian squad Pro Allan Hovda produced a stellar race this past weekend to take his 3rd victory at the Norseman Xtreme Triathlon. Having won the race 2x before, Allan came to the squad looking for some guidance to help drive his preparations towards the 2018 season. So what did it take to produce the fastest bike split of the day, and coming into T2 with last years winner Lars Christian Vold? Thanks to TrainingPeaks and Best Bike Split, we can reveal the data Allan utilized in training and on race day. Please visit Torden Multisport to read the entire post. How to properly pace a time trial. What cyclists can learn from triathletes. How much faster one more watt and one less pound can make you. How to calculate the effect of elevation on aerodynamics and performance. 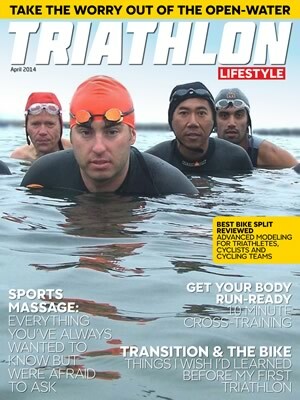 Drafting rules and tactics in triathlon. How pros pace differently than amateurs. One thing you can do to make the biggest aerodynamic gains. Please visit TrainerRoad on SoundCloud.com for this and other podcast. The tape has long been broken, the champagne sprayed and champions crowned at the 2017 Ironman World Championship, but for the first time we have in-depth access to data that paints a new and dynamic picture of the day. What we saw on the live broadcast on Oct. 14 didn't fully capture the strategies and pacing that played out on course on a day that resulted in a new course record and several new names making the podium for the first time in both the women's and men's professional races. Visit the Triathlete Webiste to read the entire post. It's an common adage: practice makes perfect. But it's difficult to prepare for races when the actual route takes place halfway across the world. Or if your schedule doesn't give you appropriate time to hit the course. Whatever the reason, indoor smart trainers (like the KICKR) have helped riders access unique training plans that can dynamically recreate courses and conditions in high detail. In conjunction with Best Bike Split, for example, riders can access a complex physics engine that takes into consideration power data, course info, and race day conditions to carve a perfect plan of attack. Visit the Wahoo Fitness Blog to read the entire post. Visit the Road.cc Website to read the entire post. 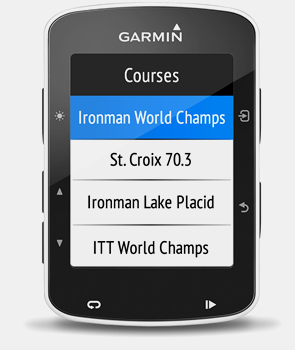 The Best Bike Split Race Sync app allow you to sync and download your BBS race plans to your Garmin devices. Visit the Garmin Connect IQ Store to read more and download the app. The BBS Power Targets data field displays an athlete's race plan power targets in real time as the athlete progresses through the course. 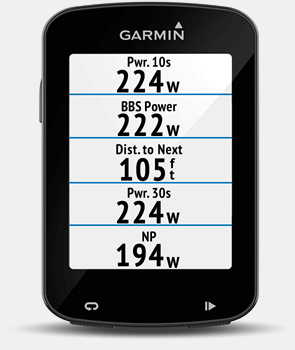 Please note that this data field will only work in conjunction with Garmin Power Course (.FIT) files generated with the Best Bike Split application. It seems that my last post has created a bit of a stir so I thought it best to quickly follow up and share with you how exactly I "cheated" my way to the club records. My "something else" is a piece of software called Best Bike Split. I believe that this software is that good that it is tantamount to cheating. But, before I lose any more friends, let me say straight up that it is NOT actually cheating. It is legal, UCI approved and used by a number of pro-teams. In this post I will explain (in an obscene amount of detail) what it is, how I use it and why it makes such a difference to TTs. I will also share with you how to make it work effectively on a Garmin. Visit the The Unhinged Cyclist to read the entire post. The quest to combine hard mathematical facts with cycling athletic performance is here and we, as time trialists, have more tools than ever to help hone everything from aerodynamic position to the perfect pacing strategy. Please visit the Cycling Time Trial Podcast for this and other podcast. podcast An html5-capable browser is required to play this audio. 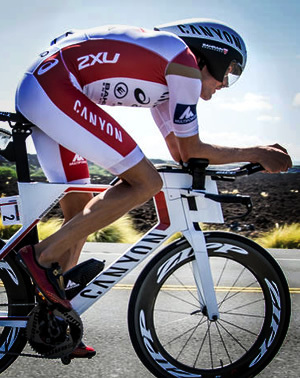 The Best Bike Split team was in Kona for the 2015 Ironman World Championship and after the race we were invited to review and help break down the overall champion, Jan Frodeno's power file along with Quarq and TrainingPeaks. Check out a video of the power analysis from Quarq and gain some insights into how Jan managed the race and pulled away heading into T2. 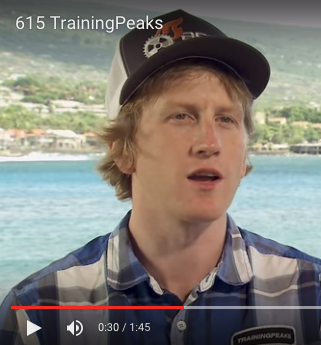 This year at the Ironman World Championship Ryan Cooper and Andrew Johnson sat down with Ironman to discussed Best Bike Split and TrainingPeaks. They talked about the features of both Best Bike Split and TrainingPeaks that are helping athletes at all levels perform up to their capabilities on race day. High-Tech Version: Create a detailed bike leg estimate using Best Bike Split, which will take your power data, course info and race-day conditions to give you a power plan to target your best bike split. The High-Tech Advantage: Pro TJ Tollakson used Best Bike Split to predict his time for Ironman Mont Tremblant. He had estimated that a 4:30 might require a 300 watt average but his Best Bike Split power plan showed he could average 279 watts and ride a 4:28. He ended up riding 4:26:55, averaging 278 watts, for a record setting performance. Read the full article in the June 2015 issue of Triathlete Magazine. 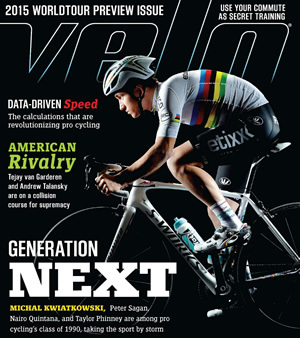 As Best Bike Split is quickly becoming a leader in race optimization, we were asked to help with a recent article for Velo Magazine about data-driven racing. Ryan Cooper, founder of Best Bike Split is quoted in the article as saying, "I think some of the teams are still a bit old hat. But what Sky does, and Trek does, and what some other teams are doing, they're starting to come around to the fact that there's more science that you can put behind this, especially in time trials, or team time trials." Read the full article in the March 2015 issue of Velo Magazine on page 55. TrainingPeaks acquires Best Bike Split to help athletes and coaches predict, train and plan for race day. Best Bike Split uses advanced math modeling to predict your goal time and wattage, plan power targets for optimal training, and create a detailed race day plan. Read the complete announcement by TrainingPeaks co-founder and CEO Gear Fisher on the TrainingPeaks website. NBC's Universal Sports Network used Best Bike Split to analyze and predict Bradley Wiggins win over Tony Martin during their live broad cast of the 2014 UCI Road Cycling World Championships. 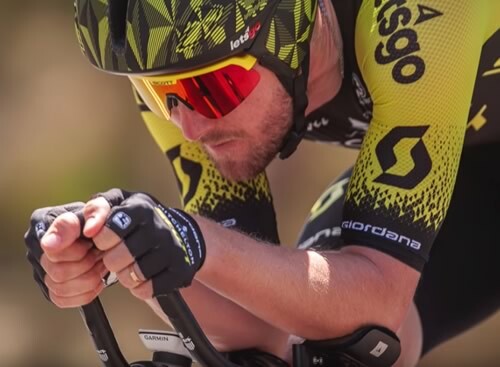 The Men's Elite Individual Time Trial was held in Ponferrada, Spain on Wednesday, September 24th with commentary by Steve Schlanger, Dotsie Bausch and Todd Gogulski. Earlier in the week Ryan Cooper of Best Bike Split spoke with Dotsie about the top riders and gave some predictions based on models that Best Bike Split had run. According to Ryan, Wiggins would be about 17 seconds ahead of Martin in the time trial. The actual difference was about 26 seconds! You can watch the full broadcast on the Universal Sports website with access from participating service providers. If you're looking for information on Best Bike Split or want to do an interview for your publication, please contact us and we would be happy to chat about Best Bike Split, Optimized Training Labs or just technology and sports in general. Trek Factory Racing is happy to announce a partnership with Best Bike Split. The Austin, Texas based company will provide the team with software to plan time trial pacing strategies, select the ideal equipment for race day conditions and determine other course specific tactical choices, in particular for time trials. Jordan Roessingh, TFR's Technical Manager says, "Best Bike Split's software is very powerful and the team is going to benefit a great deal from it.". Read the full Trek Factory Racing press release for more information. We were approached during the summer by Triathlete Magazine about doing a small write up on Best Bike Split and being avid readers of the magazine we were truly honored. This is very exciting for us, especially with knowing what the impact of being in such a great publication could mean for our little company. Here's a little quote from the article. "All these ingredients yield a program that has the potential to enhance a race strategy and help you think about your power data proactively rather than reactively". 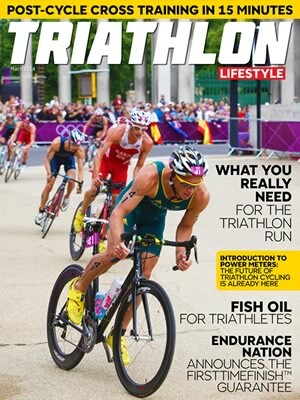 Read the full article in September 2014 issue of Triathlete Magazine on page 62. 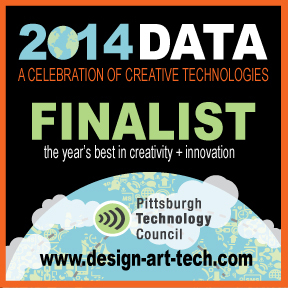 DATA 2014 is a national celebration of creative technologies in Pittsburgh, PA. Founded at the intersection of Design, Art and Technology, this two-day event is an opportunity to engage with folks around the country on the newest trends in creativity and innovation. DATA is an event like no other - a mash-up of networking, interactivity and new ideas - showcasing the year's most innovative art and technology projects, experiments and achievements. Read more about DATA 2014 and vote for Best Bike Split at design-art-tech.com. Le Dicteur De Temps Et De Stratégie Pour Vos Courses.